Colorado is dedicating unprecedented resources toward containing the three active fires in the state. Several state agencies are working around the clock to contain the fires that have begun at the beginning of an especially hot and arid summer season in Colorado. The eighth largest state in the U.S., most of its 104,100 square miles remain unaffected by fire. The state’s two main airports, Denver International Airport and Colorado Springs Airport, have experienced no flight cancellations or visibility issues. Despite the wildfires, most of the southwest area of Colorado is still open for business. It is important to stay current on fire conditions across the state, but visitors can still expect to enjoy a memorable Colorado vacation in most of Colorado and Colorado Springs. Up-to-date information on location and status of the fires can be obtained via the Colorado Division of Emergency Management; Twitter at @COEmergency and the Inciweb Incident Information Center. Colorado is an amazing, majestic place. Help us show the love and keep Colorado colorful and beautiful by following these tips and being mindful of how to prevent fires in this beautiful place. 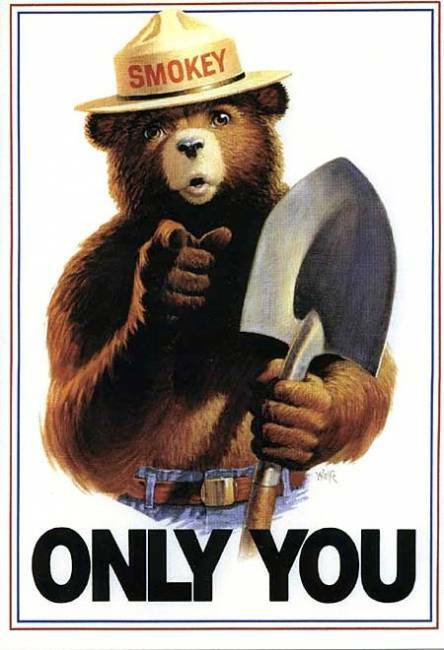 Besides, don’t you want to make Smokey the Bear proud? Use an existing fire ring or fire pit. If there is not an existing fire pit, and pits are allowed, look for a site that is at least fifteen feet away from tent walls, shrubs, trees or other flammable objects. Also, beware of low-hanging branches overhead. Supervise children and pets when they are near a fire. Check with the local sheriff's office, fire department or the federal forest agency before lighting a campfire this summer. Put out a fire with water until you can handle the embers. No water? Mix enough dirt or sand with the embers. Continue adding and stirring until cool. Let a fire burn unattended. Build a fire at a site in hazardous, windy or dry conditions. 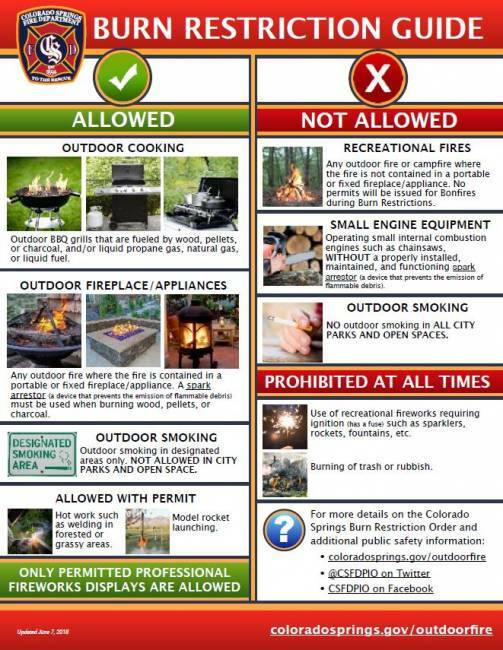 Check to see if campfires are permitted. Build a fire if the campground, area or event rules prohibit campfires. Check with the campground or forest representative. Cut live trees or branches for fires. Don’t light a campfire if you feel it isn’t safe. Bury a fire with dirt as the fire will continue to smolder and could catch roots on fire that will eventually reach the surface and start a wildfire.